About: Advanced Carbide Tool Company, Inc.
Advanced Carbide Tool Company specializes in the manufacture and repair of carbide burs. By specializing, we have been able to tailor our manufacturing and repair methods to best suit the needs of our customers. In addition to the standard line of carbide burs, Advanced Carbide Tool Company manufactures special carbide burs used in power generation and the manufacture of power generation equipment and aircraft engines. We have developed special cuts for our burs that allows for better material removal on the harder super alloys. Advanced Carbide works under a continuous improvement program that allows us to use the most sophisticated and up to date machinery. 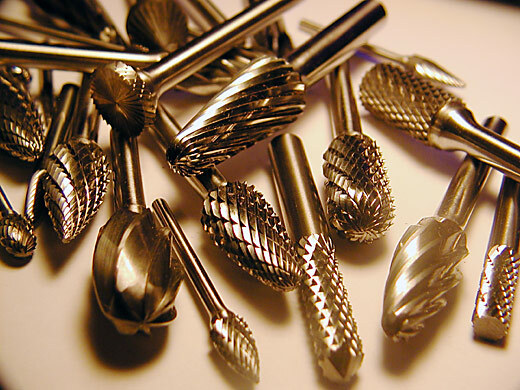 Our knowledge of the bur industry along with the state of the art equipment allows us to manufacture the highest quality carbide burs available on the market.